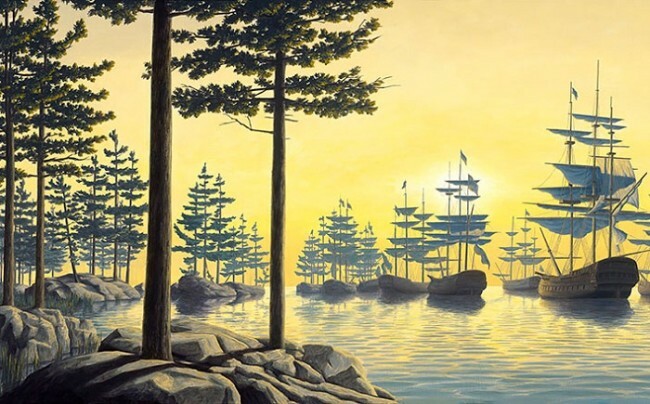 Optical illusion – a favorite method in the work of Canadian artist. His plain, and at the same time fantastic pictures can be viewed for a long time, finding the boundaries between subjects. 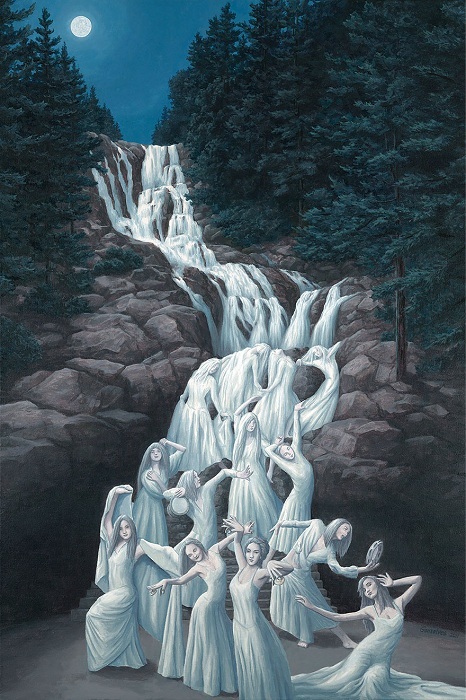 Canadian artist and illustrator Robert Gonsalves – a recognized master of optical illusions. Looking at his work, did not immediately know where one ends and the other begins the story. 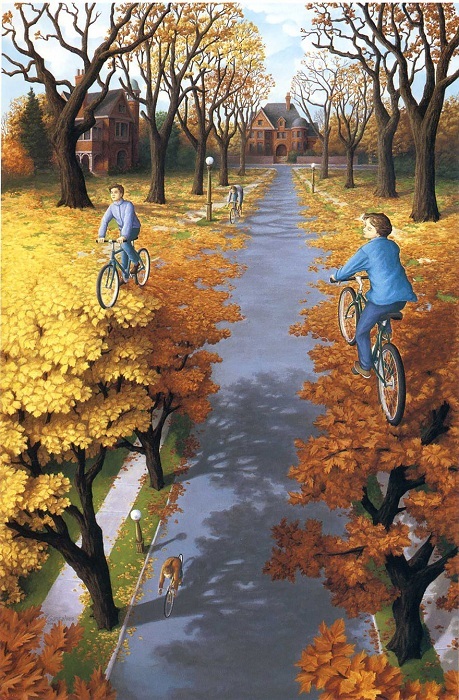 Proper use of perspective allows the artist to perfectly combine two seemingly disparate plot in a magical illusion. 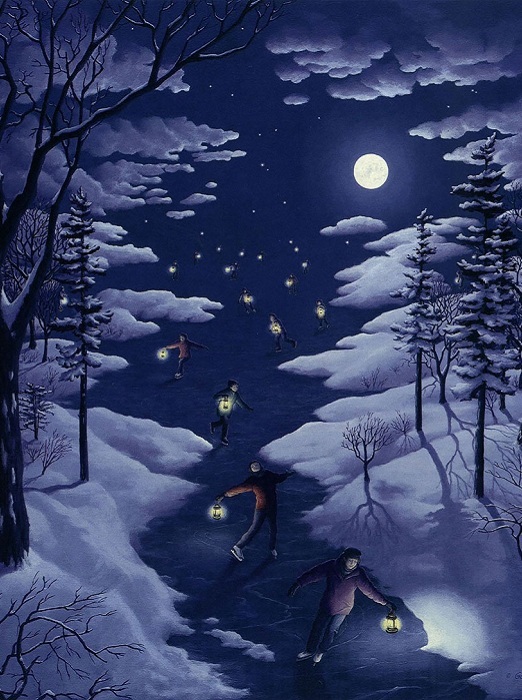 No wonder his work is determined by a special term – “magical realism” . 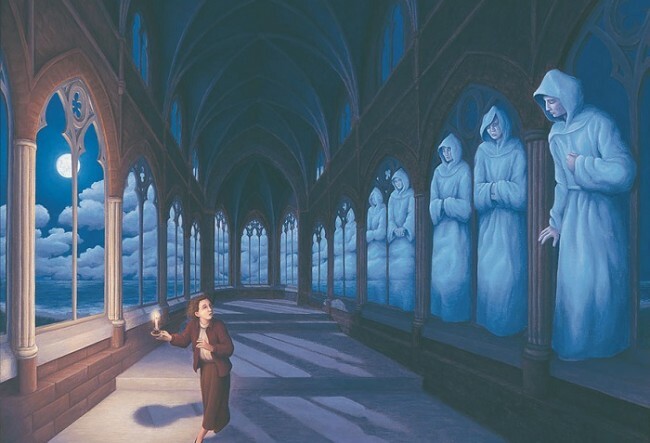 Robert Gonsalves began to take an interest in art at an early age. For 12 years he learned the technique of image spatial objects in the (future) and started to create his first renderings of imagined buildings. 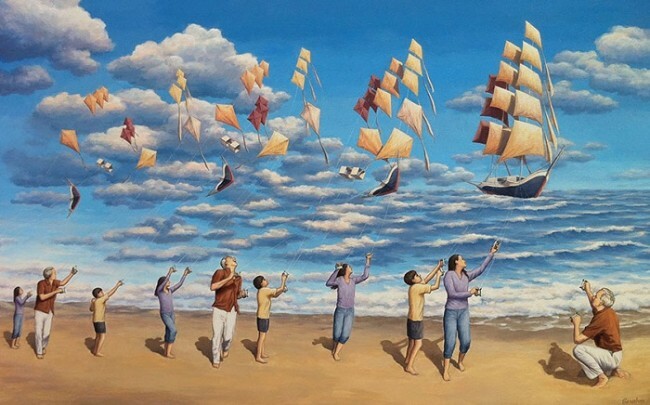 Later, the young artist saw the paintings of great masters of Surrealism – Salvador Dali and Rene Magritte. They have made a lasting impression on the boy and influenced his future work. The process of creating these paintings is very time consuming. 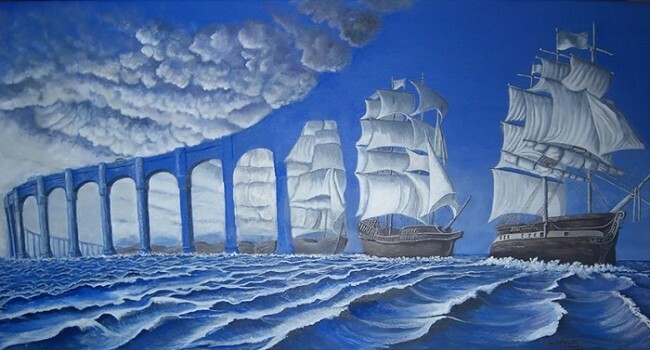 Therefore Gonsalves is on exhibition for a maximum of four films a year. The artworks are so popular that they can be seen not only in galleries, but also on the walls at the well-known politicians, show business stars.